Tomato worms (A.K.A. 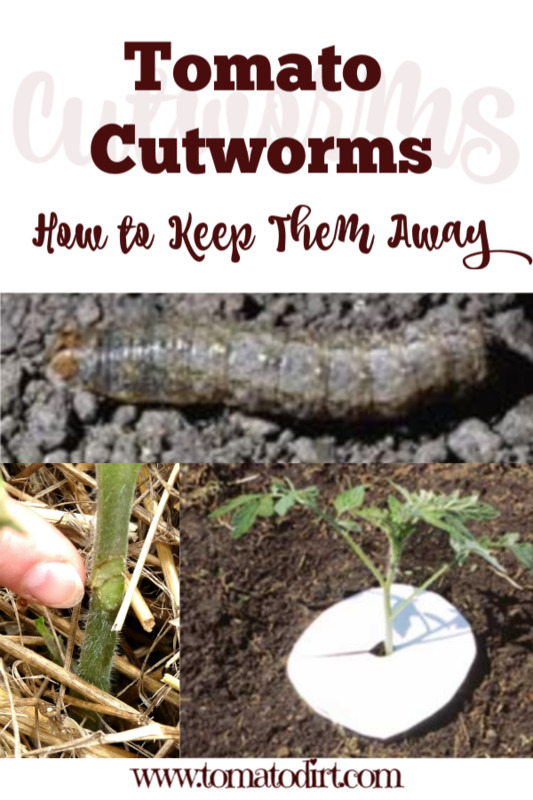 cutworms) love to snack on tomatoes and tomato plants! Tomato worms, or more specifically cutworms, gobble up stems of tomato seedlings. They work mostly at night to do their damage, cutting off seedlings at the soil line. Gardeners who take no precautions against cutworms – beware! You may check your garden early one morning only to discover plants have disappeared from the surface on up. Later in the season, cutworms nibble holes on the surface of tomatoes. Tomatoes near the ground are most vulnerable. During the day, worms hide under clods or debris on the soil surface. If disturbed, they curl up. At night, they munch through tomatoes. Tomato collars are a simple precautionary step you can take to protect your crop. They are easy to make and take just a few seconds to place on each plant. Plus, tomato plants grow so quickly and collars will soon be covered up. Most important, collars will prevent these pests from creeping up your plants, devouring the stems, and destroying your crop. Place collars on tomato seedlings when you first plant them in the garden. Sink toilet tissue rolls, milk cartons, cups or cans into the soil an inch or two around the seedling. Or wrap newspaper or aluminum foil around the base of the seedling, extending up from the soil line 2-3 inches. Check tomato collars periodically to make sure are not knocked away from the plant by wind, water, or an overzealous gardener. Another simple way to prevent these pests from eating away at your plants is to place 2 popsicle sticks on either side of the tomato stem.